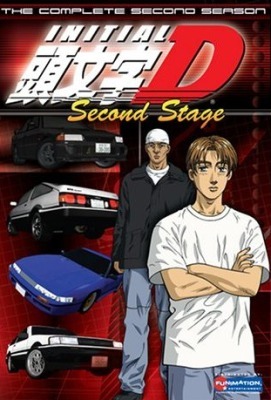 Watch Initial D Second Stage full episodes online English Sub. Synopsis: Following his victory over RedSuns leader Ryosuke Takahashi, AE86 driver Takumi Fujiwara is challenged by the Lancer EVO-based “Emperor,” a group known for taking decals of racing teams they defeat, cutting them up and placing them on their cars like a fighter plane kill board. Takumi’s undefeated streak is on the line as his AE86 is virtually no match against the more powerful and more agile four-wheel-drive EVOs of the Emperor team.